Some people may consider that messy hairstyles are a sign of no good education and the bedhead effect is not polite. But look here at the messy braids long hairstyles that are really adorable and what is quite important they can be worn anywhere - on the beach, in the club, at home and also at some serious events. Crown braids are known for ages. And we have seen very polished and tght variant of these plaits, but to tell the truth these relaxed messy braids are cuter. There come time when each of us want to try something new to look extravagant and daring. But not all of us can dare to dye hair to some futuristic colors or to make a statement shocking haircuts. At these moments braided Mohawk hairstyles will to help you. To look tender and sweet, and soft, you can adopt this cute braided hairstyle, it is overall braid that ends in a low bun. Not tight that makes it look very relaxed. 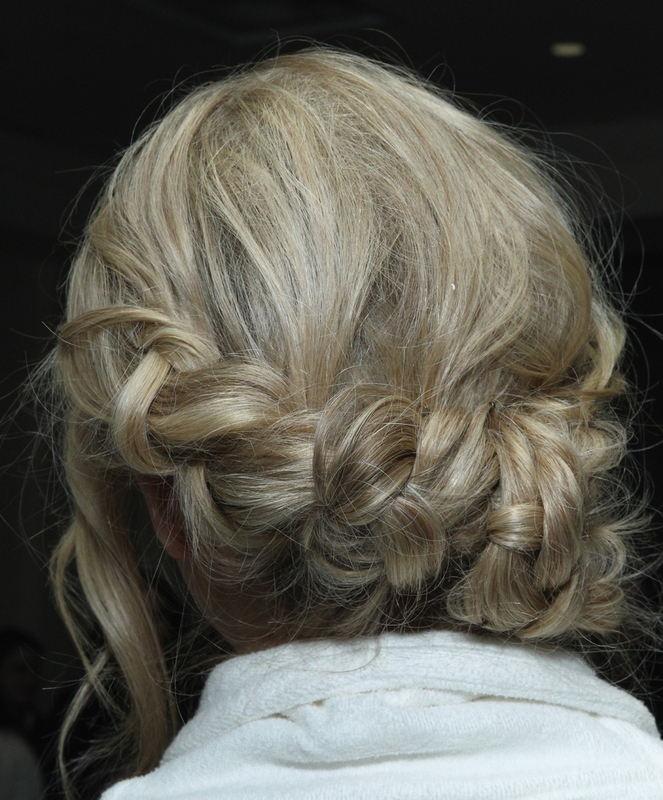 Messy hairstyles can be elegant and you can try them when going to an official dinner. This is proved by the above braids hairstyles. Side braids are amazing. They are flirty, they are romantic and they are easy to style. Moreover if you are planning to make it messy. Mind that new tendencies in hairstyles sport mixed up styles, so small braids can be fused with big ones, and you can try different styles like French braid with Dutch one or a fishtail. For very ling hair we can consider having a fishtail braids hairstyle. But a fishtail should start at the upper point where usually French braids start, and it should go all the way down to create the most amazing fishtail ever. Making it messy, will result in creating unique look that will fit any summer dress.